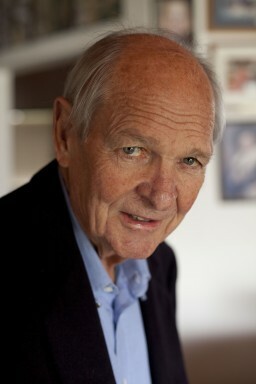 One of South Africa’s foremost entrepreneurs and philanthropists, Renier van Rooyen has been awarded the 2011 Inyathelo Award for Lifetime Philanthropy. As the founder of Pep Stores, Mr Van Rooyen has not only created one of the largest retail businesses in South Africa but also demonstrated unwavering compassion and financial generosity throughout his life to poor and vulnerable communities, particularly in the Northern and Western Cape. Born in Kenhardt in the Northern Cape, Renier started his career as a clerk in the Department of Justice before buying a single store in Upington and with the help of one employee, kick started his Pep empire. When he retired in 1981 at the age of 50 Pep had 500 stores, 10 factories and 10,000 employees. Renier’s philanthropic contribution extends far beyond building houses for his employees in the Pep family. He has made substantial financial contributions to many community causes, study grants as well as large individual donations. One of his study grants was given to a young Jakes Gerwel who went on to become the Director-General in the Office of former President Nelson Mandela and Chancellor of Rhodes University. Other examples of his philanthropy include the creation a Child and Youth Centre in Kuilsrivier; a tertiary education trust in Upington; a mobile soup kitchen which fed 6,000 children; the distribution of food and clothing parcels to poor families at Christmas; donations to the ‘Argus Teach Fund’ and the Community Chest’s Western Cape fund drive and the establishment of the Renier van Rooyen Trust and the Western Cape Welfare Organisation (Weswok). In the late 1970’s, Weswork transformed into the Foundation for Community Work (FCW) and recently another NGO with a broader focus on community development and civic engagement evolved in the the Community Development Foundation Western Cape(CDF WCape ). Both organisations are still active and renowned for their contributions to community development on the Cape Flats. Renier’s financial generosity was matched by his tireless efforts to oppose apartheid legislation. He actively campaigned for the scrapping of apartheid measures such as the Group Areas Act.